Home Top News World News Activist Rev Martin Luther King Jr. gave a powerful speech on April 4th 1967 entitled “Beyond Vietnam" get him killed or was it something deeper? Activist Rev Martin Luther King Jr. gave a powerful speech on April 4th 1967 entitled “Beyond Vietnam" get him killed or was it something deeper? Dr. Rev. Martin Luther King Jr.
Civil Rights leader and activist Dr. Rev. 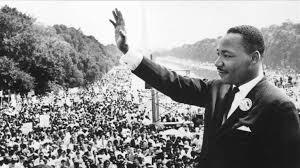 Martin Luther King Jr. gave a tremendous and powerful speech on April 4th 1967 entitled “Beyond Vietnam.” Dr. King clearly pivots drastically from his civil rights agenda to a wider frame of reality. We all know the rumors that the USA government had grown weary and nervous about King’s influence before his assassination. There is considerable evidence pinning the assassination on the government itself. Could it be the speech below that was the last straw for the USA government? Perhaps it was also something far more deep that had been forming that truly scared the powerful elite in the USA. It is no secret that Jewish activists worked side by side with African-Americans during the Civil Rights movement. Years later we now know that 60% of African-American have at least one side of their family traceable to the Igbo tribe, which means it is more than likely that both Jewish Americans and African-Americans were subconsciously joined towards one another by something far more basic than modern civil rights issues. They in fact shared and still do share a common Hebraic origin. Could it be the American government wanted to shatter this growing unity in order to keep both sides hidden from one another? The truth is hard to deny. After King’s assassination Jewish Americans and African-Americans drifted from one another, creating a fissure still not repaired.